Create business infographics with abundant pre-made business infographic elements will be an easy and interesting thing. More and more people tend to use infographics to visually show their complicated information and situations, then business infographic thrives. 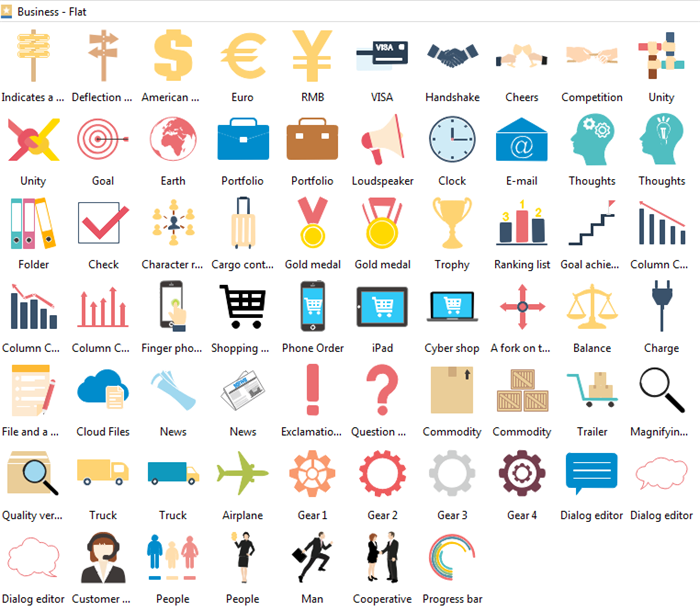 And a good infographic maker will help people a lot in creating business infographics. 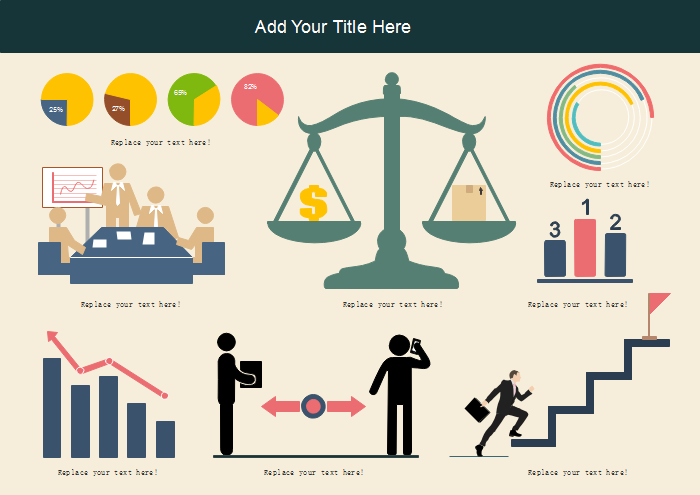 All the business infographic elements below picture shows are customizable. Just edit the symbols if necessary, such as changing the color, dimensions and directions to fit the situation. And this professional infographic maker is keeping creating more elements for infographic design. 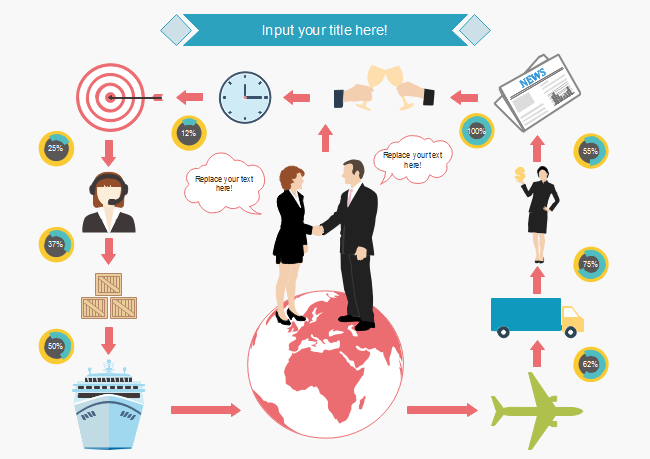 Following are 3 examples of business infographics in different business situation. All the examples created by infographic maker are free to download, edit, print and share. Just download them if any interests! 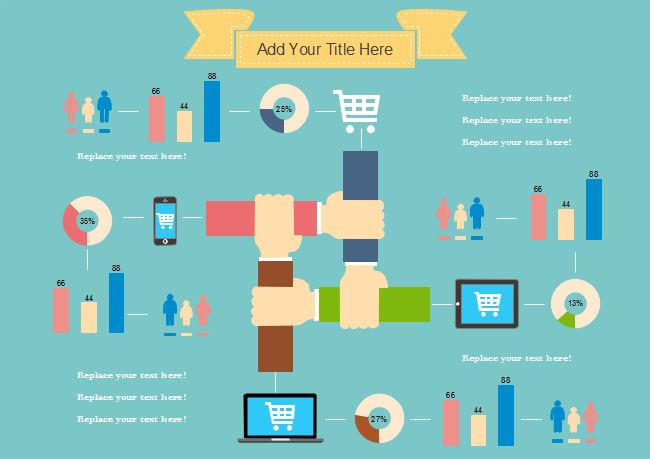 Want to use the above business elements in your infographics? Download Edraw Infographic Maker! It includes a large variety of business shapes which are easy to modify. Design a wonderful infographic is just a few click away. Try it now!